Progressives use numerous and distinct strategies to drive their agenda into mainstream America. These strategies, spelled out and shown through recent examples, intend to fundamentally rework America, creating a European model socialist state. Friday’s organized protest and counter rally at a Donald Trump Campaign rally in Chicago thankfully ended with minimal violence. Political analysis, including comments from GOP Presidential contenders Marco Rubio, John Kasich, and Ted Cruz are pointing to Trump’s tone as the reason for the protests. According to Fox News, Kasich said in a statement that the seeds of division his campaign had planted finally bore fruit, and it was ugly. Seeking political advantage while camouflaging the purveyors of anarchy only serves to increase the chances of violence the next time, and there will be a next time, whether Trump is involved or not. There is great danger in mis-diagnosing the cause of this protest, and the cause has nothing to do with Trump. Some of the protesters chanted Bernie! Bernie! and carried Sanders campaign signs. Some called themselves Chicago community activists, likely in the Saul Alinsky/Barack Obama model. 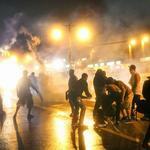 MoveOn.org executive director Ilya Sheyman stated that his organization was responsible for organizing the violence. Since MoveOn.org endorsed Bernie Sanders over Hillary Clinton, will Bernie be asked to condemn them? America is increasingly witnessing massive, confrontational and at times violent demonstrations. From Ferguson, MO to Baltimore, MD huge crowds formed, long before Trump came on the scene as a presidential candidate on 16 June, 2016. Many other people and organizations were, however, on the scene and playing pivotal roles in these uprisings. 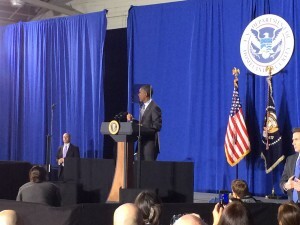 Barack Obama has repeatedly sided with protestors over law enforcement. His Justice Department following suit by investigating police departments, over anarchists. Increasingly militant organizations like Black Lives Matter and the New Black Panthers are present, and radicals like terroristBill Ayers promote these protests. Funding comes from people like democrat and Marxistbillionaire George Soros through sponsored organizations like Move On.Org. The strategy behind creating, organizing, and capitalizing upon such movements and demonstrations comes straight from the radical left, having its roots in the writings and teachings of Carl Marx, Friedrich Engels, Saul Alinsky, Richard Cloward and Francis Fox Piven, and the many leftists in America who were taught their tactics and are now putting them into practice. “You never want to let a serious crisis go to waste”, words spoken by Rahm Emanuel, Obamas former Chief of Staff, underscores the thinking. If you can’t have an organic crisis, create it. Use the ensuing unrest and violence to push your agenda forward. Blaming Donald Trump for this is like blaming someone for getting robbed in their own home. We must assign the blame where it belongs, or there will be ever more protests with ever more violent results. Blame the protest organizers. Blame those that fund the protests. Blame those that pay to bus in protesters. Blame the ones that attack constitutional rights of freedom of speech and freedom of assembly. Blame the ones in the administration who bread a climate of extremism and excuse those that rise to commit violence. Don’t provide a scapegoat! The GOP isplaying with fire. Blaming Trump, in order to score tactical election points, excuses the destructive leftist strategy at play. Allowing it escape scrutiny will only cause larger, and likely more aggressive attempts to shut down political rallies, and perhaps even the GOP Convention. This in turn is a dagger at the heart of American Democracy; for without freedom of speech and freedom of assembly, we have no America! 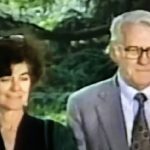 Cloward and Piven, What Was Their Infamous 1966 Strategy? In 1966 Cloward and Piven wrote a now infamous Nation piece titled “The Weight of the Poor: A Strategy to End Poverty”. Many have discussed the meaning and intent of the piece, but what was it really, and would it have achieved their intended goals? The strategy was well designed, and in fact quite consistent with U.S. Military Doctrine complete with “Ends”, “Ways” and “Means”. In order to simplify and expose Cloward and Piven’s strategy, its been framed under the above three categories, using their own words (shown in italics) from the “Nation” article. Using legislation, A federal program of income redistribution has become necessary to elevate the poor en masse from poverty. The ultimate objective of this strategy: to wipe out poverty by establishing a guaranteed annual income…by the outright redistribution of income. First, adequate levels of income must be assured. Second, the right to income must be guaranteed. Legislative measures to provide direct income to the poor would permit national Democratic leaders to cultivate ghetto constituencies. It is our purpose to advance a strategy which affords the basis for a convergence of civil rights organizations, militant anti-poverty groups and the poor. 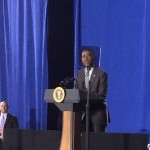 The strategy we propose, is a massive drive to recruit the poor onto the welfare rolls by precipitating a profound financial and political crisisand to impel action on a new federal program to distribute income. A national Democratic administration would advance a federal solution to poverty that would override local welfare failures, local class and racial conflicts and local revenue dilemmas. And by the collapse of current financing arrangements. In order to generate a crisis, the poor must obtain benefits, which they have forfeited. Massive educational campaign Brochures describing benefits in simple, clear language, and urging people to seek their full entitlements, should be distributed door to door in tenements and public housing projects, and deposited in stores, schools, churches and civic centers. Advertisements should be placed in newspapers; sport announcements should be made on radio. Leaders of social, religious, fraternal and political groups in the slums should also be enlisted to recruit the eligible to the rolls. Advocacy must be supplemented by organized demonstrations to create a climate of militancy. These are the conditions, then, for an effective crisis strategy. Hearings and court actions will require lawyers most cases will not require an expert knowledge of law, but only of welfare regulations. To aid workers in these centers, handbooks should be prepared describing welfare rights and the tactics to employ in claiming them. Mass media should be used to advance arguments. Cadres of aggressive organizers would have to come from the civil rights movement and the churches, from militant low-income organizations like those formed by the Industrial Areas Foundation (that is, by Saul Alinsky), and from other groups on the Left. Public resources have always been the fuel for low-income urban political organization. If organizers can deliver millions of dollars in cash benefits to the ghetto masses, it seems reasonable to expect that the masses will deliver their loyalties to their benefactors. In that introduction Piven stated that Glenn Beck and others got it wrong. She and Cloward weren’t trying to bring down American capitalism, with the piece “The Weight of the Poor: A Strategy to End Poverty”that was far too ambitious a goal. She stated in the strategy that cities like NY are too financially strained to provide the welfare income that they call for. In New York City, where the Mayor is now facing desperate revenue shortages, welfare expenditures are already second only to those for public education. An increase in the rolls of a mere 20 per cent would cost an already over burdened municipality some $100 million. According to the CBO, in 1966, when their article was first published, the Federal Governments total national debt was only $263.7 Billion. How things have changed! It is now 72 times larger at over $19 Trillion, with America’s unfunded liabilities over $100 Trillion, and both are rapidly climbing. America’s credit rating under President Obama was downgraded by the S&P in 2011, for the first time in history dropping below AAA. The national debt owes its origins to the very War on Poverty programs that Cloward and Piven strategized to expand, eclipsing $22 Trillion in payments so far. Whether intentional or not, the Cloward and Piven Strategy’s impact is the same. Maximizing welfare recipients, and instituting an unconditional right to a perpetual salary would bankrupt the country all the same. America’s current debt path, according to the CBO, is unsustainable. Adding welfare costs instead of growing opportunity and rolling it back only accelerates America’s financial collapse. Why Did The DNC Chair Attack SC Governor Nikki Haley? DNC Chair Debbie Wasserman Schultz attacked Governor Nikki Haley during a conference call ahead of President Obamas SOTU Address. According to Debbie Wasserman Schultz Haley was only chosen to deliver the GOP Response because the GOP has a diversity problem and Haley is an Indian American woman. Whether you agree with the content of the Governors response or not, Wasserman Schultz was clearly alone in her charges, as most of the Minion Media praised her attacks on Donald Trump and GOP Presidential Contenders, so why did she do it? What was the rational behind making such a disgusting charge, and why did the liberal media praise Governor Haley? Pick the target, freeze it, personalize it, and polarize it.” In the case of Debbie Wasserman Schultz and her assault on Governor Haley, the DNC chair was merely following Alinskys direction. In this case the enemy that Wasserman Schultz was attacking is the GOP. She can in no way allow or say anything positive about the Republican Party or she would be in violation of Alinsky’s tactics. So why did the minion media instead praise Governor Haley if they follow the same Alinskian tactics? The answer is that they were following the teachings of Saul Alinsky, but they were focused upon a different Target. The Minion Media was focused on the GOPs Presidential Contenders; in particular Donald Trump and Ted Cruz. The tactics were the same but the targets were different. Praising Governor Haley allowed a news cycle focused on attacking the Candidates. The important lesson here is that the Democrat party is wedded to the destructive teachings of Saul Alinsky and his radical extremist views on America. Whether it’s Barack Obama, Hillary Clinton, Debbie Wasserman Schultz or any other Democrat politician the adherence to Alinsky is the same, whether they are formally steeped in it like Obama and Hillary, or just follow along with the progressive crowd. In order to unite this country under a common love of freedom and future of prosperity the Democrat Party and its politicians must be defeated. Nothing short of eliminating their destructive grip on our nation will allow the healing and successful future of America. This primer summarizes the key points in Karl Marx (18 May 1818 – 14 March 1883) and Friedrich Engels’ (28 November 1820 – 5 August 1895) infamous 1848 work, and the resulting political movement that slaughtered 100 million, and as many as 200 million, people across the planet. It is also the ideological predecessor of the teachings of Saul Alinsky, the father of America’s radical progressive movement. Despite the fall of the Soviet Union, Communism, Marxism and Socialism are alive and growing internationally, including growing in strength within the United States. 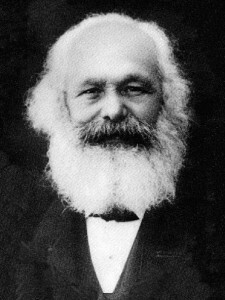 Before looking into the Communist Manifesto, it’s critical to show what Marx wanted. “It is a terrible and awesome thing when a man sets out to create all other men in his own image. Such became the goal and all-consuming ambition of Karl Marx. Not that he would have made each man equal to himself; in fact, it was quite the contrary. The image he hoped to construct was a great human colossus with Karl Marx as the brain and builder and all other men serving him as the ears and eyes, feet and hands, mouth and gullet. In other words, Marx surveyed the world and dreamed of the day when the whole body of humanity could be forced into a gigantic social image which conformed completely to Marx’s dream of a perfect society. First, the total annihilation of all opposition, the downfall of all existing governments, all economies and all societies. Then, he wrote, I shall stride through the wreckage a creator! The second thing he needed was a new kind of human being. Now that we know Marx’s strategic goal, let’s visit his and Engels’ Manifesto. *A heavy and progressive or graduated income tax. Centralization of credit in the hands of the State, by means of a national bank with State capital and an exclusive monopoly. (ex. Nearly all student loans are now owned by the Federal Government). Centralization of the means of communication and transport in the hands of the State. Extension of factories and instruments of production owned by the State. Equal liability of all to labor. Establishment of industrial armies, especially for agriculture. *Free education for all children in public schools. Destroy home education by socializing education. *Fully or Partially instituted within the U.S.
World History is the history of class struggles, oppressors vs oppressed, in constant opposition to one another. The oppressors hoarded civilizations wealth, while the oppressed toiled under the oppressors for meager cash payment. Named modern oppressors the “Bourgeois”. Named modern oppressed the “Proletariat”. Stripping every occupation (including professionals) into paid wage laborers, reducing them to slaves. Craftsmen were reduced to unskilled machine operators. Reduction of the family relation to a mere money relation. “Compels all nations to adopt the Bourgeois mode of production…” creating a world after “…its own image”. Massive global productive expansion that created an “…epidemis of over-production”. The strength advantage of male laborers over women was eliminated by modern industrial machinery. 5. Every class struggle is a political struggle. The struggle between Bourgeois and Proletariat grows from localized struggles, into trade unions with national struggles, and eventually global revolution, where the Proletariat inevitably overthrows the Bourgeois. “The Communists do not form a separate party opposed to other working-class parties”. Communists ally themselves with numerous parties who oppose the bourgeoisies in “…whatever country they are in”. They are the “…most-advanced and resolute understand the line of march the conditions and results of the proletarian movement”. “The average price of wage-labour is the minimum wage”. Described as requisite in bare existence as a laborer. Freedom under bourgeois means “…free trade, free selling and buying”. Communists intend to do away with buying and selling, and property. Disagrees with the argument that once private property is abolished, that all work will cease, and universal laziness will take hold. 8. Communists intend to abolish the family, believing bourgeois poisoned the family’s foundation. Disgusted with the “…hallowed co-relation of parent and child.” Does Hillary Clinton’s book, It Takes a Village, have it’s root philosophy in this Marxist concept? Look at marriage with disdain, as it is also corrupted by the bourgeois. Want to create an openly legalized community of women. 9. Communists Intend to abolish countries and nationality. Is this what Obama wanted to do bysubverting U.S. sovereignty to international actors? Is the leftist UN global government intent a manifestation of this? 10. Communism abolishes eternal truths, all religion, all morality. The proletariat will use its political supremacy to wrest all capital from the bourgeoisie, to centralize all instruments of production in the hands of the State; i.e. of the proletariat organized as the “ruling class”. 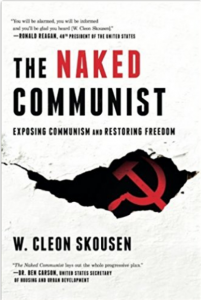 Noted Author Trevor Loudon’s discussion of communist Influence, and the devious means used to expand it. The United States is a representative republic founded on the principle that multiple parties are essential to maintaining freedom, ensuring counterweights to oppression within our society. But what if one of our parties decided that they wanted to eliminate the other as a viable competitor. How would they do it? What would be their strategy to eliminate political competition within the United States and established a one party system? There are really only two options that would be viable within the context of the United States. Violent overthrow, the most commonly used method for power consolidation would never happen here, so it must be done in one of two other ways. Option One: The most reasonable course of action, and the one that most Americans see occurring every day, would be to attempt to convince enough Americans of the power of that party’s ideas and its policies such that on a national, state and local level the ideas and policies of the opposition party would receive little support. There’s a clear historical ebb and flow in the United States that shifts power from party to party. At times Republicans at other times Democrats win the White House and/or the Congress only to lose that power at some point down the road. We’re talking about an option in which there is no down the road and one party maintains its power base in perpetuity. This is very hard to achieve, and unlikely to happen naturally, so it brings us to Option Two. Option Two: The second option, unlike the first that is open to public debate and decisions, requires subterfuge and disguise in order to succeed. Rather than convincing the electorate of the power of the party’s ideas, this option involves making voters who oppose it irrelevant in the context of local state and national elections. It requires ensuring that more votes get cast for the party than would be cast against it at all levels. How? 1. Import voters who support it, adding them to the existing supporters who when aggregated outweigh and outvote the opposition party. Illegal immigration is one means to achieve this by bringing in millions of people from outside the country, using the power of the federal government, and taxpayer money, to disperse them throughout the country, in all states, counties and cities. The inevitable goal of this illegal immigrant seeding would be to make them American citizens and grant them the right to vote as soon as possible. These millions of voters would likely overwhelm the opposition party. 2. There is a potential however that this tactic alone might not work, and so a second parallel effort would seem like insurance. Another method of buying votes and ensuring long-term support would be to go to the prisons were large numbers of minorities are incarcerated. By using Presidential Pardons to free these prisoners and changing policy within the United States allow felons to vote once they’ve served their time, another guaranteed pool of supporting votes would be in hand. 3. The above two tactics would seem very viable means of ensuring electoral support, but why stop there? What if a party could also use the federal government to resettle vast numbers of voters (Affirmatively Furthering Fair Housing) from party strongholds into opposition States, Counties and cities and in so doing swing the vote of those counties? Such a policy has never existed in this country in the past, the closest thing being forced busing. In this case it is meant as a long-term resettlement plan at the expense of the taxpayers in the counties into which minorities get moved. 4. A fourth tactic would be icing on the cake. A policy of enabling voter fraud, when exploited by a political party, would further tip the scales. Enabling this policy would require opposition to voter ID laws and the expansion of voting from election day to as many days leading up to the election as possible. It would also be important to expand absentee voting to allow party supporters the opportunities to multi-vote in every election. Option Twowould be opposed if Americans knew it was underway, so it would require subterfuge, disguise and the cloaking of the policies within lofty terms of morality and fairness, Saul Alinsky 101. It would need cleverly tested statements such as voter ID laws disenfranchise the poor and are racist attempts to return to Jim Crow laws (instituted by Democrats by the way). Comments about expansion of voting opportunities enabling the maximum amount of participation in the democratic system, an essential element to any thriving democracy, would also certainly be thrown about. Resettling people from high-density minority areas to other parts of the country would be touted as righting discrimination and slavery. False statements made while stealing away America’s republic. As far-fetched as this hypothetical Option Twois, I submit that it is in fact well underway. President Barack Obama and the Democrat party are using tactics mentioned above and probably many others to completely eliminate any viable GOP opposition. What would be the end state if they succeeded? What could possibly be the good that would come to America by creating a single party state? Given the progressive desire to force-feed their way of life and their way of thinking it’s clear what the intent is. It’s also clear what must be done in opposition. The truth of this effort must be spread, understood and exposed to the light of day. It must be vehemently opposed by every freedom loving American. The rule of law must be upheld, and that starts with securing the border and enforcing America’s immigration laws. The Progressive coils must be unwound. We are at a crossroads America. 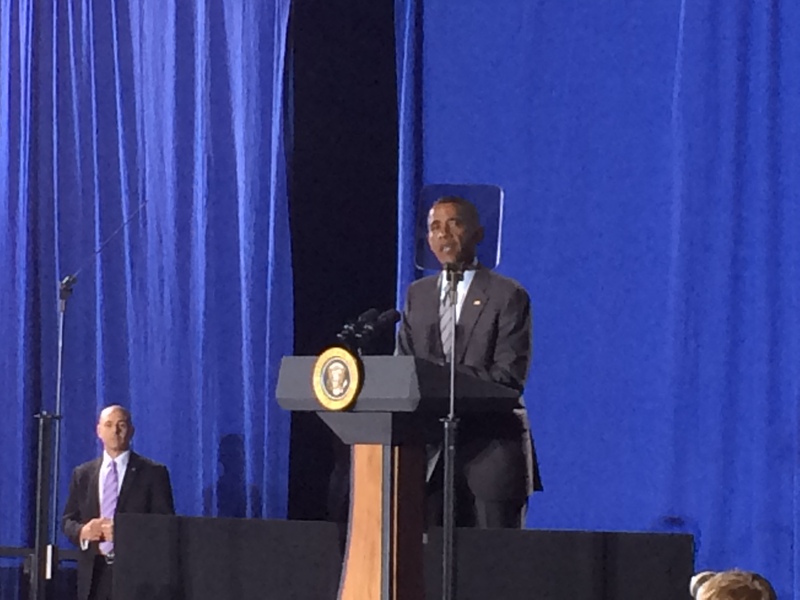 The future of our Republic depends upon the actions of the American people. The 2016 presidential election is a GOP must win. Freedom is down to it’s last out, in the 9th inning. The future of our country and liberty depend upon it! Recent race riots in America focused attention on poor black communities and the meme that US police departments are racist and doing everything they can to single out innocent black men for arrest, incarceration, or frequently to murder them. What this event, or series of events, has also done is expose another Alinsky tactic being employed by Democrats and their progressive supporters. What Americans hear from the left and from race baiters like Al Sharpton is how terrible and racist the police are. We see only one depiction of the police from “Minion Media” descriptions and its one that most Americans don’t agree with or recognize. Most of us understand the vast majority of law enforcement officers are brave, honorable men and women who dedicate their lives in protection of the communities they serve. It’s a dangerous line of work, often thankless, but they do it because they love this country and they feel a calling to serve much like those in the United States military. So why is it, that in discussions about the police, the Democrat party can only attack, denigrate, and destroy our Police? The result of this relentless denigration, officers are under attack, singled out and executed in growing numbers. The radical leftists in this country are so anti-police that in Ferguson Missouri, and most recently in Baltimore the US Attorney General’s officewas sent in with the goal of federalizing those departments in the name of social justice. So far, more than 20police departments have met the same federal control. When so much that the left in America does draws its inspiration from notorious America-hater Saul Alinsky, it’s no wonder that this relentless attack upon police is a tactic straight out of the his Rules for Radicals. Alinsky teaches that once you pick a target you must demonize it, never admitting to, or allowing, any positive qualities of that target to get discussed. It doesn’t matter how much they must exaggerate, lie, or outright fabricate events in order to create that devil, their radical ends justifies the means. 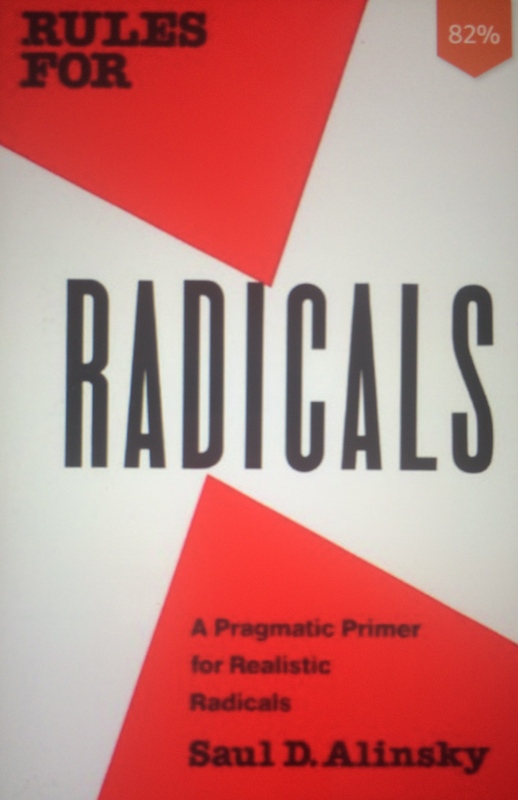 This is Part-3 of my 3-Part series on Saul Alinsky’s Rules for Radicals. In Part-3, Alinsky’s tactics are summarized, along with his goal, or Objective. Just as President Obama told “Joe The Plumber” that he wanted to redistribute American wealth, Alinsky’s Objective was taking power from the Haves and giving it to the Have-Nots. Sounds like Hillary Clinton’s statement that the U.S. economy needed to “Topple the Wealthiest 1%”. Although couched in his own terms, Alinsky teaches many “tactics” that come straight out of the Department of Defense’s Joint Doctrine, Joint Publication 3, called Principles of War. Ex. If your numbers are small, “conceal the members in the dark but raise a din and clamor that will make the listener believe that your organization numbers many more than it does.” Joint Doctrine – Economy of Force, Mass, and deception. “Ridicule is man’s most potent weapon.” Democrat politicians and their supporters are constantly ridiculing anybody who challenges them. Look at the lengths that they’ve gone to destroy Gov. Sarah Palin, even perpetuating a myth that she said that she could see Russia from her house. Hand in hand with ridicule, according to Alinsky, is Satire. 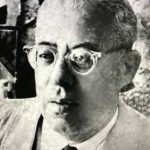 Although Saul Alinsky died in 1972, his Objective and teachings are gaining power in today’s radical left, progressives and the Democratic Party machine. This is Part-2 of my 3-Part series on Saul Alinsky’s Rules for Radicals. Given Alinsky’s own words, it isn’t hard to see why so many on the left considered then Senator Obama a savior. As a self-professed professional “community organizer”, an Alinsky acolyte, Obama was, in leftist circles, literally a “great creator”. – “The Have-Nots” Democrats exploit this group of Americans the most, advancing progressive policies designed to make and keep them dependent upon government. Minorities, women and children top their list. – “The Have-a Little, Want-Mores” This group of Americans is basically the middle class. – “The Haves” During the Obama administration Democrats branded these Americans as the “1%”. President Obama himself seems to believe that you become the 1% when your income grows to $250K/year. Most of the Democrat Political leadership (Clintons, Obama, Reid, Pelosi, Deblasio, Gore, etc.) is extremely wealthy, as are their donors (George Soros, Hollywood Actors/Actresses/Directors, Union Bosses, etc.). As shown in my previous Alinsky post, there is no such thing as hypocrisy to Alinskyites. Look for progressive policies couched in these three groups. It’s essential that they be pitted against one another, agitated, insulted, discredited and stirred up for the organizer to move his/her agenda. Division, not unity, is Alinsky’s calling card. COMPROMISE: The clarion call of the progressive, and an essential component to a successful radical. How often do we hear politicians, in both parties, talking about compromise, as if that is the only thing that matters. Compromising where one’s principles must be abandoned, one’s security is diminished, or one’s country weakened, isn’t a good deal at all. Obama’s Iranian negotiations stand as a prime example. “Conflict is the essential core of a free and open society.” Alinsky teaches how to create it. Ferguson, MO is a case study in how it’s done, and how devastating its effects can be. My final blog in this Alinsky series will contain the specific tactics Alinsky teaches organizers to employ.